That’s the title of a conference next week at the University of São Paulo featuring eminent economists and historians of economic thought such as Robert Gordon, Kevin Hoover, Wade Hands, and Phil Mirowski. According to the conference website the proceedings will be streamed live, so you can participate even if you can’t make it to São Paulo. I just saw this amusing abstract from Greg Mankiw. I think it will be far too subtle for most people. Extra credit: how would such a tax affect NBA salaries — like that of UConn’s seven-foot-three Hasheem Thabeet, who was taken number two in the recent draft? With Scott Snell (Darden Graduate School of Business) and my SMG colleague Dana Minbaeva, I have edited this just-published special issue of Human Resource Management on the intersection of knowledge management and HRM. One of this highlights of the special issue is an excellent paper by Teppo Felin, Todd Zenger, and Joshua Tomsik that takes issue with some influential ideas on how “knowledge” prompts the emergence of “communal” forms of organizing. Amidst the fierce debate about the U.S. health care system is a raving lack of clarity. At the core, is whether organizations and markets fail to produce an optimal solution. 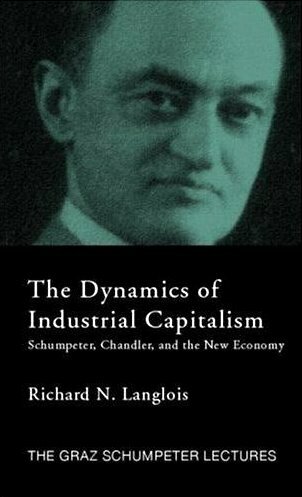 Even the most neoclassical of economists these days acknowledge that market externalities exist and that these should be the focus of government intervention. Unfortunately, I don’t feel that the debate has been rigorous or well-informed in defining the market failure or why a government run system would be superior. Liberal Economist Paul Krugman explains why markets fail summarizing Kenneth Arrow’s arguments (here). Basically, the third-party payee system and the information asymmetries render comparison shopping ineffective (and hence competition fails to yield an optimal solution). Indeed, there is a good bit of inefficiency in the current U.S. system. A recent NY Times article notes that health care costs the average U.S. household $6,500 more each year than other comparable wealthy nations. Unfortunately, looking at many of the important outcomes, it appears that consumers are not getting much for their money on many dimensions (e.g., chronic disease outcomes). So it should be possible to lower costs and improve outcomes. Of course, this ignores the question of whether costs are higher to subsidize R&D that ultimately spills over into other countries. We’re delighted to introduce Russell Coff as our newest guest blogger. Russ is Associate Professor of Organization and Management at Emory University’s Goizueta Business School. 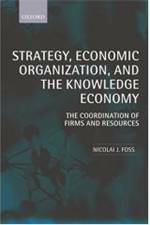 He has published widely on the knowledge- and resource-based foundations of competitive advantage, with a particular focus on human capital and its role in M&A, compensation policy, and other aspects of organizational design. Russ is past Chair of the Academy of Management’s BPS Division and will be pretty busy leading up to and during the AoM meeting, but he’s promised to carve out some blogging time now and between sessions. We’re really looking forward to his insights. Welcome, Russ! The politician’s need to peer at least a short distance into the future, in the hope of getting the timing of difficult choices right, meant that few rulers could afford to dismiss astrology. Non-astronomical methods were tried too: Henry II’s chancellor, Thomas Becket, consulted a palm-reader before embarking on an expedition against the Welsh in 1157. But the transfer of Arabic science made astrology the most impressively academic of all methods for telling the future in the twelfth-century West and many rulers turned to astrologers much as politicians today turn to economists. Wow. “In acquiring SPSS, IBM said it was expanding its focus on business-analytics technology and services to meet a growing client need to cut costs. According to IDC estimates, the world-wide market for business analytics software will grow by 4% to $25 billion this year.” SPSS must be the most valuable product ever created by a political science professor. (I may or may not mean just monetary value.) HT: Cliff.